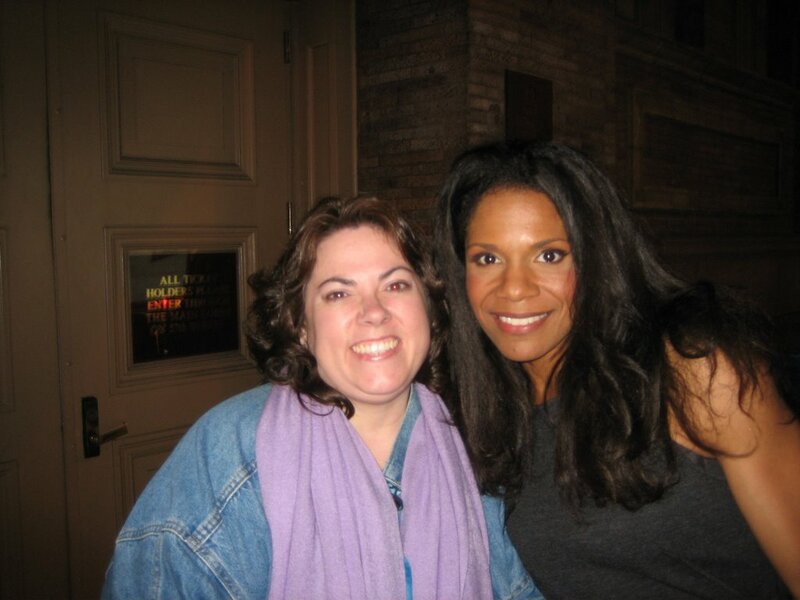 Audra McDonald is simply sublime. Her voice thrills the heart and sends chills up the spine. I bought my ticket for this concert last summer in a subscription package - I chose the package specifically for this concert. Noah bought his ticket much later and coincidentally sat on the very same row as me. The house was full and extremely enthusiastic. 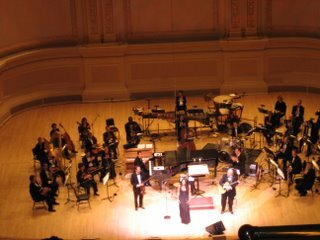 I especially enjoyed this concert because it was like the best of Broadway - of course, my favorite wasn't Broadway at all - "The Glamourous Life" which Sondheim wrote for the movie version of "A Little Night Music". Audra was born to sing Lerner & Loewe and Rodgers & Hammerstien - but oh, she shines when she's Sondheimish. We went to the stagedoor after with other eager fans (even Lois Kirschenbaum was there - well, of course, she was there). We saw Donna Murphy come out and I told her "Donna, please come back to Broadway!" and she laughed and said "Oh that's so sweet of you." We also saw those artistic geniuses Lonny Price, John Butterell and Bruce Coughlin (we expected to see Michael John LaChiusa but apparently he's out of town) and of course Ted Sperling, who conducted and accompanied. Audra finally came out about an hour later. She was so sweet and generous as she took pictures with everybody and signed playbills. She is a beautiful person. RICHARD RODGERS / OSCAR HAMMERSTEIN II “Edelweiss” from The Sound of Music(1959) (arr. Kevin Kuhn & Antoine Silverman) - NO MICRPHONE and she accompanied only by accoustic guitar and violin. 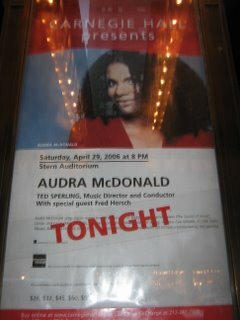 God love Audra! How was it? Divine? can you PLEASE tell me the setlist more or less? So bummed to have missed it! !